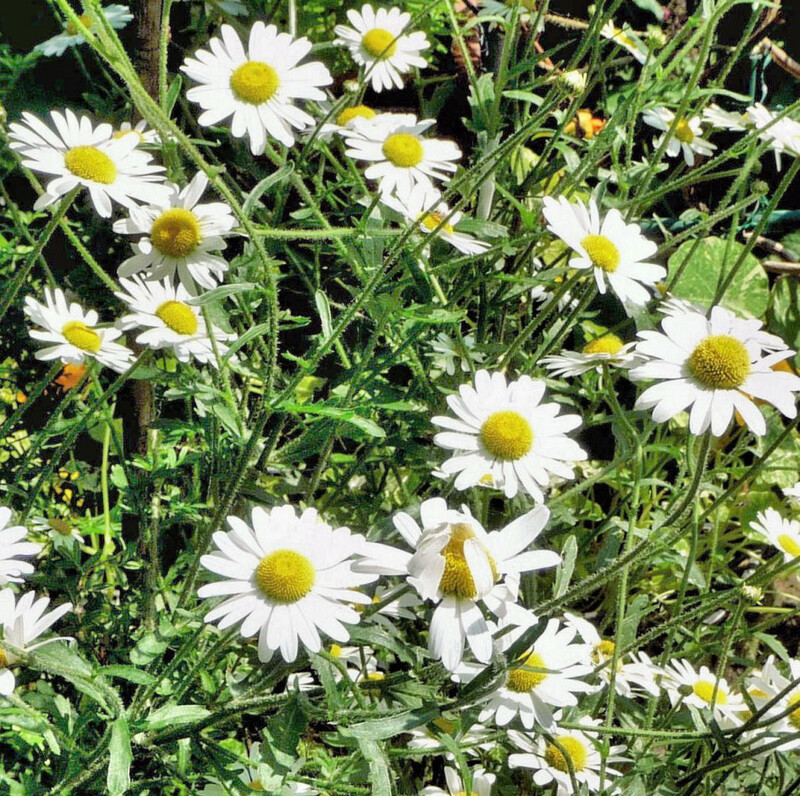 A tall, handsome wildflower with WHITE petals and YELLOW centres, Oxeye Daisy blooms on roadside verges & in meadows & hedgerows. 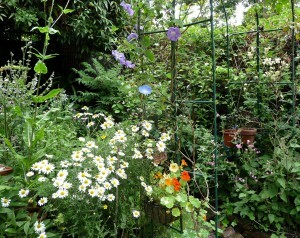 Bees, Hoverflies and Butterflies such as the Meadow Brown visit it. 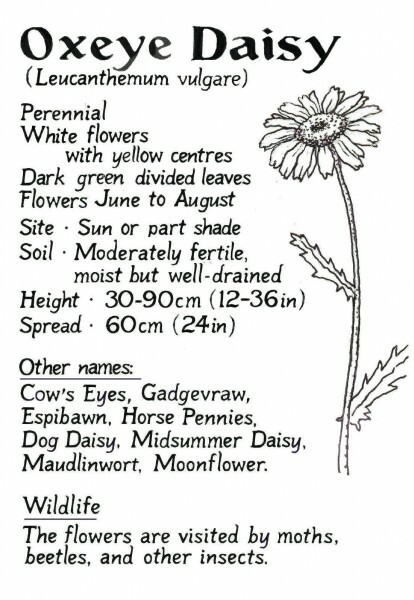 ‘Its large blooms appear from June to September & are so bright that they appear to ‘glow’ in the evening, hence the common names ‘Moon Daisy’ and ‘Moon Penny’. 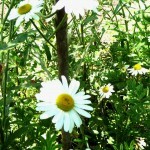 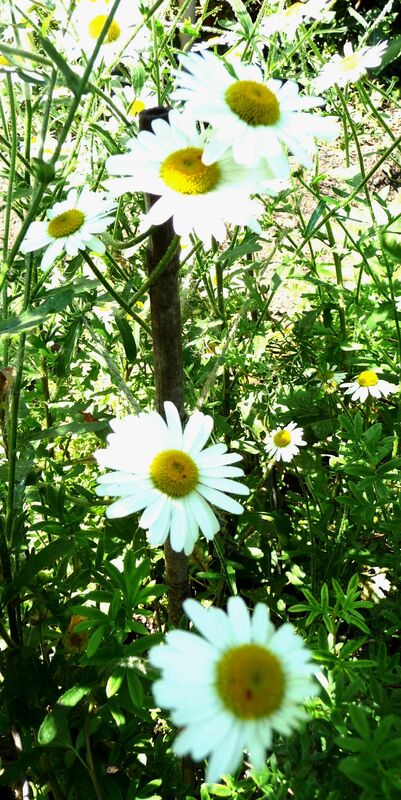 In Matt Ashdown‘s blog for The Eden Project, forager Emma Gunn says Oxeye Daisy buds and flowers are edible. 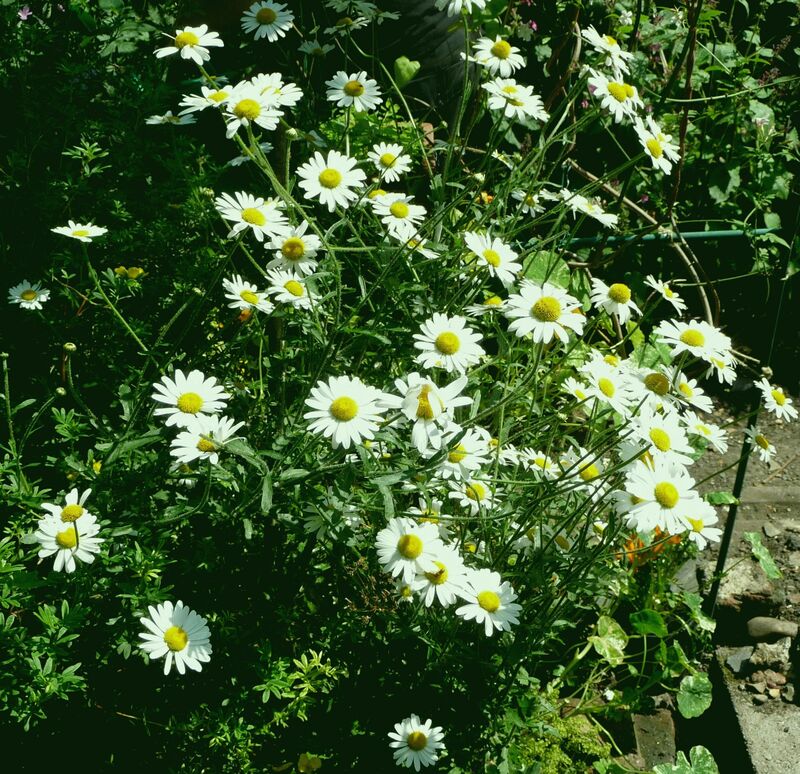 Together with advice on foraging for wild food, her recipe for tempura battered Oxeye Daisies is included on the website.